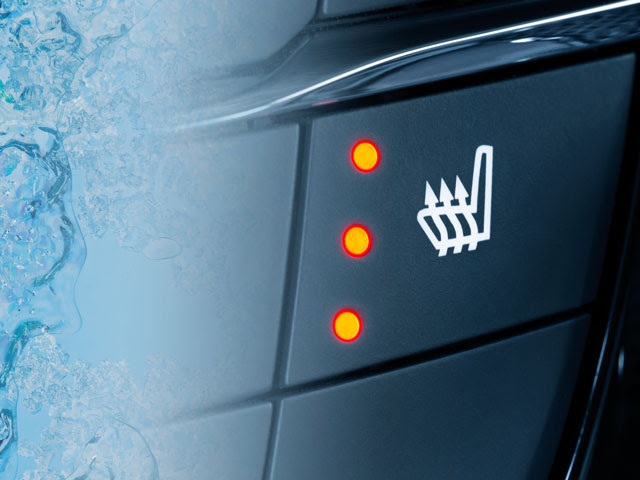 Heated seats aren't just for Christmas but they are certainly a great idea! If you are still looking for a last minute Christmas present to buy for yourself! Then you may be interested to hear that you can have a heated seat system installed in your vehicle. How great would it be to have nice cosy heated seats on these very cold days. Heated seats aren't just for cold days, they can also help people who suffer with aching back which on long journeys would be a nice relief. Enhance Car Audio based on Sittingbourne, Kent can supply and fit heated seats from £250. They also offer a varied range of other services such as, Remote Start, DAB Radio, Window Tinting, see their website for the full list. If you would like to know more then you can visit their website on the link below. Welcome Motorhome from Peter Oliver at T C Motorhomes in Herne Bay Kent. Elaine & Derek are soon to be celebrating their Golden Wedding Anniversary, and with that, Peter, Shane and everyone at T C `s would like to thank Elaine & Derek for their valued business, and congratulate them on such a fabulous milestone ! Auto-Sleepers KINGHAM 2016, immaculate 2 x Berth With `FIXED BED` and just over 4500 miles from new. With just one x private owner ..
is T C Motorhomes MOTORHOME OF THE MONTH !! 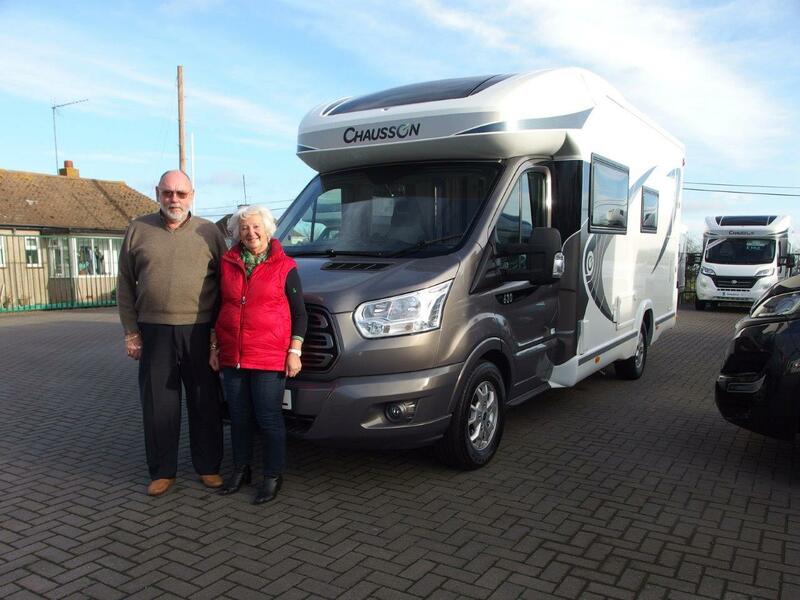 Valerie & Charlie from East Malling, are pictured collecting their brand new Chausson 711 Travel Line from T C Motorhomes in Herne Bay Kent. They chose to replace their Burstner Aviano motorhome with the all new Chausson 711, whilst in Birmingham recently at the annual Motorhome Show, Where they bumped into Shane Catterick & Peter Oliver from T C `s.
Valerie admits that the task of replacing the Burstner Aviano, a Motorhome they have owned for the best part of 10 years, had been a little easier than she had anticipated, “ with the 711 so fresh, innovative, and also practical.. what`s not to like”. In particular, Charlie liked the excellent storage space that the garage provides, and Valerie like the Drop-Down beds, and rear lounge feature that the 711 Travel Line has. Shane and Peter of T C Motorhomes would like to wish Valerie & Charlie the very best in their all New Chausson 711 Travel Line, And many many miles of Motorhoming Fun ! Alison & David, from Aylesford in Kent, decided a few weeks ago to contact T C `s about replacing their Chausson 610, ( bought from T C `s just a couple of years ago ). They both fancied the idea of replacing the 610 with something a little bit bigger, and a little more luxurious, and more ideally suited to some longer trips..
so it`s Europe here they come In their New Chausson 748 WELCOME ! And for anyone interested in a nearly new / immaculate Chausson 610 2015 model, don’t hesitate to contact us ! Alison and David keep their vehicles immaculate, it`s like new ! !